The church of Jesus Christ does not mark time in years but in generations, in centuries. One year in the eyes of God is but a fleeting moment. That kind of long timeframe is not natural for human beings. Few of us ever experience life over even one century, much less centuries. 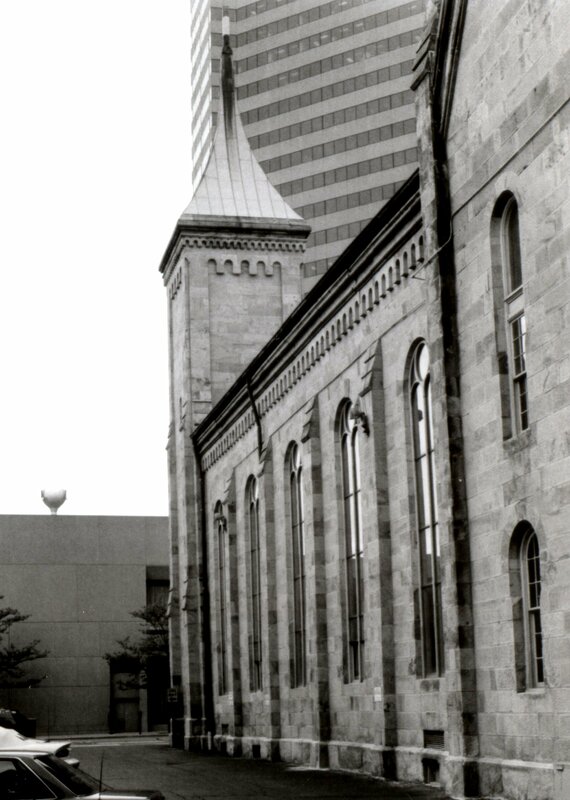 Church in Columbus, Ohio—to take part in the last worship service there before the congregation was dissolved and the church was closed. 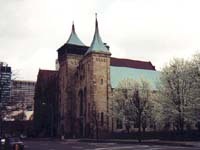 The church was located in the heart of downtown Columbus, the capital of the State of Ohio, a city of some 787,033 people today, according to the 2010 census. The year Central Presbyterian Church was founded, 1839, the population of Columbus was 6,048, according to the 1840 census. The city was only thirty-four years old at that time. 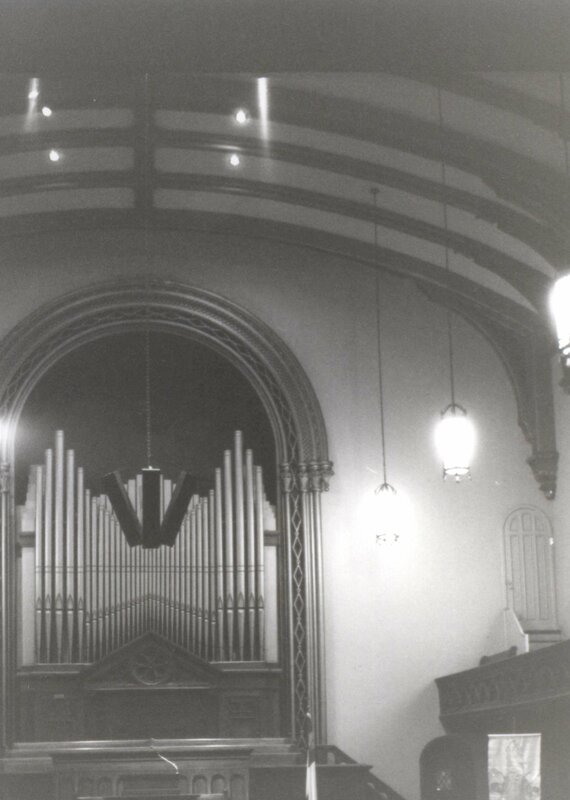 The building that Central Church occupied, when I served as its pastor, was the congregation’s second building. This building was constructed just around the corner from its first building. This “new” building, where I led worship for thirteen years, was completed in 1860. The first pastor to preach from that pulpit, Rev. Edward Morris, did so before Ohio had mustered any of the soldiers who would eventually march south and east to fight and die in such places as Vicksburg and Shiloh and Gettysburg and with Sherman in Atlanta and on to the sea. Rev. Morris was born in Utica, New York in 1825, studied at the Auburn (NY) Seminary. He pastored a church in Auburn, NY before accepting the call to Central Presbyterian Church in Columbus. Maybe he even passed through Elmira on his way to take up his new charge in Ohio. downtown Columbus. When that ministry began, the streets in front of the church were unpaved. They remained unpaved as late as 1883, according to photographs I’ve seen. Next door to the church in its early years, the neighboring buildings were small wood frame structures, none more than two or three stories tall. 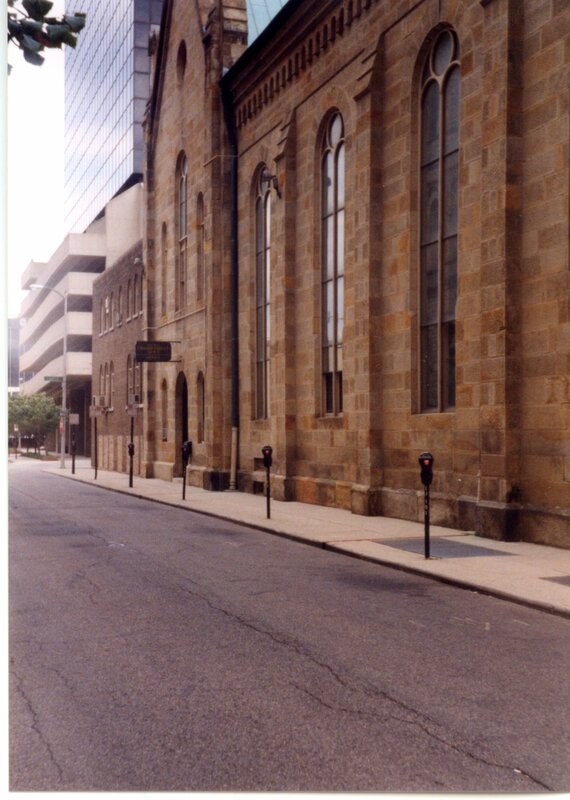 By November 2011, Central Presbyterian Church was surrounded on three sides by modern skyscraping office buildings. Instead of horses and carriages clomping down dirt streets past the church, now it is the noisy rush of trucks and cars. Aside from the temporary guests at the five-star Hyatt Hotel across the street and the less elegant Holiday Inn around the corner in the back, no one lives within a half a mile of the church building, except for the homeless folks who sometimes sleep on the church’s back steps. 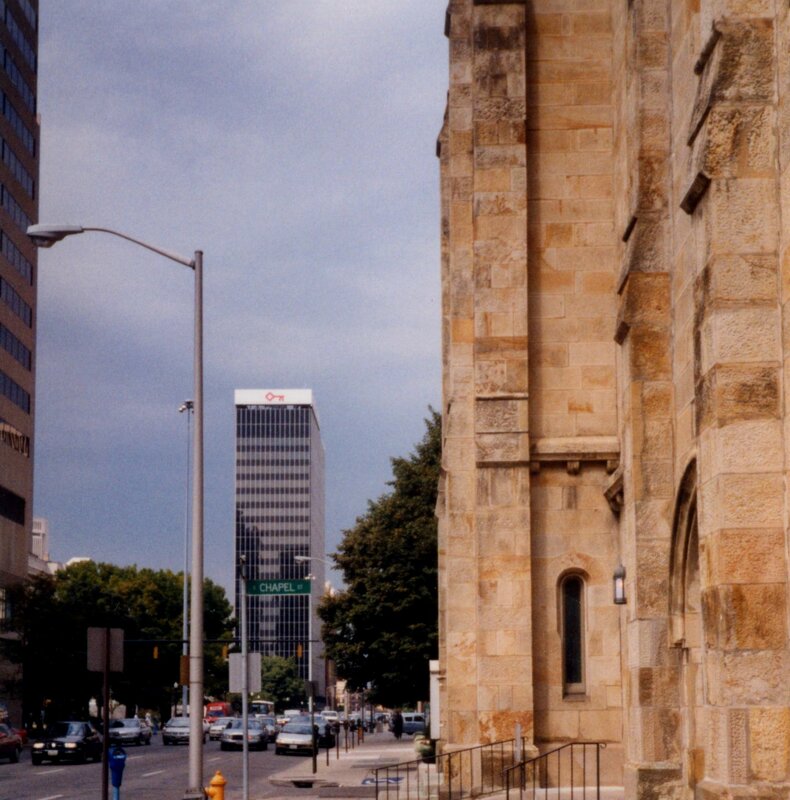 Over the years, as people chose to live farther and farther from the center of the city, Central Presbyterian Church found fewer and fewer people who were willing to drive downtown for worship, much less midweek activities. The membership diminished, even as ministry burgeoned. But a small membership and an ancient building were not compatible with sustainable ministry. When the invitation to go back for the closing events came to me, I could hardly think of anything I less wanted to do than be part of closing down my former church. Yet, I also knew that I had to go. It was one last pastoral work I needed to perform for them. I was there for the people, as were my predecessor and my successor pastors. worth of wear and tear, including scorched roof trusses from a fire in the 1920s that had destroyed a then new Christian education annex and that had sent flames licking under the rafters of the old main building but had not too seriously damaged it. 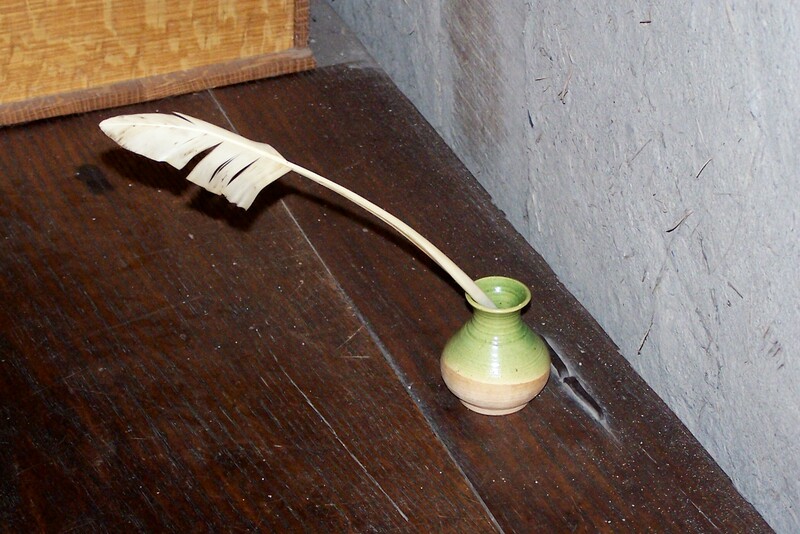 I had always loved prowling around, stooped down, through the dirt-floored cellar under the sanctuary, rummaging through the leavings of a century and a half. I relished clambering among the rafters and catwalks above the sanctuary ceiling and fifty feet above the pews, exploring the evidences of progress – the abandoned gas lines which had once fed the gas lamps that had illuminated the worshipers, the remains of the first generation electric wires from sometime around the turn of the twentieth century and only replaced by modern wiring during my tenure as pastor. Yes, I loved that old building that had eventually crushed the congregation which has been trying to serve God there. I hated the thought that I would never again get to roam through that place. But more than any other reason, I dreaded going back to Columbus to close down that church, because it felt like a confrontation with failure. Not my failure alone. A congregation does not thrive or die simply because of its pastor. I know that, and yet I, and most pastors, have a hard time believing that. We feel responsible – sometime totally responsible – for the “success” of a congregation . . . or its “failure.” We are wrong about that, of course. But we do think it . . . a lot. And – just to share the blame around a bit – congregations can often be perfectly happy to have their pastors think that “success” and “failure” for a congregation rest in the hands of its pastor. I will also say that I haven’t felt that kind of pressure here at North Church. The reason I haven’t is because we have a number of wise church leaders here who remind me that the faithfulness and fruitfulness of a congregation are the business of its people as much as of its pastor. But I’m getting ahead of myself, because you’ll notice that I’ve changed the terms of the conversation from “success” and “failure” to faithfulness and fruitfulness. Even thinking in terms of “success” and “failure” can only lead to a sin-sick pastoral and congregational mindset. The terms “success” and “failure” are quite simply meaningless when applied to the kingdom of God. God is omnipotent – almighty. There is no “failure” only God’s sovereign will. Is God ever surprised? Does God ever say, “Oops!”? Do situations ever arise which are simply impossible for God to turn to his purposes? Are circumstances ever so hard that God’s kingdom there will simply fail? The confusion comes to us in all of this because what God values and what our world values are plainly different. In Columbus, on that Sunday morning back in November, as we worshiped for the last time together in that ancient sanctuary, I was given the opportunity to lead the congregation in prayer. In preparing for that prayer beforehand, God began working on me, on my frame of mind about the closing of that church, about the meaning of ministry, the role of local churches as organizations and institutions, about how I see my life, my ministry, my churches, and their ministries. 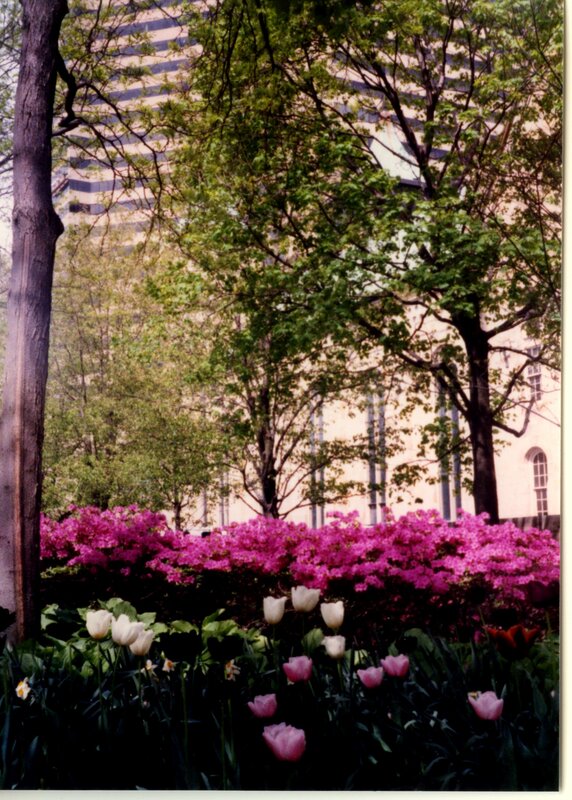 I must say, I found in God’s perspective a new peace about the closing of Central Presbyterian Church in Columbus, Ohio. Mind you, I’m still sad about it. I grieve that that terrible, wonderful old building may end up being torn down or turned into a restaurant or a theater. But I found a deep gratitude toward God for the 172 year of ministry that took place through Central Presbyterian Church. I was grateful that God gave me the opportunity to spend thirteen years serving there, touching the lives of all sorts of different people. And I realized that the kingdom of God is vast, eternal, and unshakeable, but that human institutions and organizations have a finite life cycle. They begin, and they end. God’s kingdom is not dependent on them. God has already taken care of “success.” His kingdom is assured. Our calling is to faithfulness as disciples of King Jesus. And when we are faithful, we will bear kingdom fruit. Whether the world around us considers us successful on their terms or not really isn’t the point. ©2012 Gary A. Chorpenning; all rights reserved.